Katrina Martin, MA has 19 years of experience as a tutor. In addition to working with children, Katrina also works with adults through intuitive coaching, mindfulness, dreamwork, and energy healing. Katrina is widely published. Along with numerous articles in magazines, newspapers, journals, and websites, she contributed a chapter to Rebearths: Conversations with a World Ensouled (World Soul Books, 2010). She is currently working on a memoir. She holds a master’s degree in Consciousness and Transformative Studies from JFK University, a teaching license from the University of Colorado at Denver, and bachelor’s degrees in English and Journalism from the University of Colorado at Boulder. In 2011, Katrina traveled through seven countries in Europe for six months, tracing her ancestral heritage. Along the way, she rappelled off a 70 foot cliff, soaked in Icelandic hot springs, and swam in a Norwegian fjord. Katrina has 17 years of experience as a tutor. Her passion is to help students feel more confident and calm about school. Katrina’s tutoring style includes a combination of mindfulness techniques as well as practical tools that students can incorporate into their lives. She has worked in elementary classrooms, been the director of education at a major tutoring center, and assisted in graduate-level courses. Her favorite way to teach is in small groups or one-on-one. She has received training in mindfulness instruction through Mindful Schools as well as more than 70 hours of training in the Orton-Gillingham approach through The Stern Center. She created a test prep class that incorporates mindfulness, and has taught this at the Academic Talent Development Program (ATDP) at UC Berkeley and at The Berkeley School. She also taught The Art of Meditation, a five-week meditation course, at ATDP. ​ In addition to working with children, Katrina also works with adults through intuitive coaching, mindfulness, dreamwork, and energy healing. Katrina is widely published. Along with numerous articles in magazines, newspapers, journals, and websites, she contributed a chapter to Rebearths: Conversations with a World Ensouled (World Soul Books, 2010). She is currently working on a memoir and several picture books. She holds a master’s degree in Consciousness and Transformative Studies from JFK University, a teaching license from the University of Colorado at Denver, and bachelor’s degrees in English and Journalism from the University of Colorado at Boulder. Generally, services cost $90 per hour. See the tutoring page for more information. Where does tutoring and coaching take place? For those in the Burlington area, sessions might take place at your child’s school or in a library or coffee shop. Sometimes sessions take place in your home as well, depending on location. Online sessions are also available via Skype, FaceTime, Zoom, or Google Hangouts for those who have complicated schedules or live outside the Burlington metro area. Contact Katrina to find out which option would be a good fit for your student. Sessions are generally one hour long. However, other arrangements can be made depending on a student's circumstances. Katrina and Danielle tutor and coach children in grades Kindergarten through high school as well as college students. Katrina also tutors adults who wish to improve their writing or their written and spoken English if they are speaking English as a second language. I hold an elementary teaching license from the University of Colorado at Denver. I have been tutoring for 19 years and have taught in elementary, middle- and high-school classrooms, small-group courses at tutoring centers, and I was also a teacher's assistant for graduate-level courses. I have training in the Orton-Gillingham approach as well as in mindfulness instruction. I also hold a master's degree in Consciousness and Transformative Studies from JFK University with an emphasis in dream studies, and English and Journalism degrees from the University of Colorado at Boulder. I completed the graduate-level training in energy work at Intuitive Way. What happens during a typical tutoring session? This all depends on what you and the student would like to accomplish on any given day. For students working with Katrina, it might be intensive reading intervention using the Orton-Gillingham approach, instruction about note-taking or study skills, helping a student organize and clean out their binder, checking on the status of their assignments, or helping them with homework. For students working with Danielle, it might be working on homework or preparing for a test, or receiving instruction in areas where the student needs help. Danielle Drogalis has 16 years of experience as a teacher. 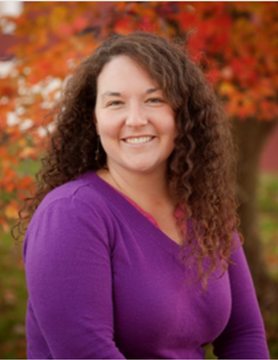 Danielle currently teaches at Bellows Free Academy in Fairfax. She has also taught at Lake Champlain Waldorf High School, Barre Supervisory Union, and St. Johnsbury Academy. She is a native Vermonter and in her spare time she raises chickens and produces many of her own products including yogurt, kombucha, butter, bread, soap, deodorant, and lotion.